Thank you Juan! Love this creative (and colour coordinating) cover with the block of 4 (who doesn't love blocks?). The 2010 stamps show the Inca town of Ollantaytambo, in street view. Thank you Juan! 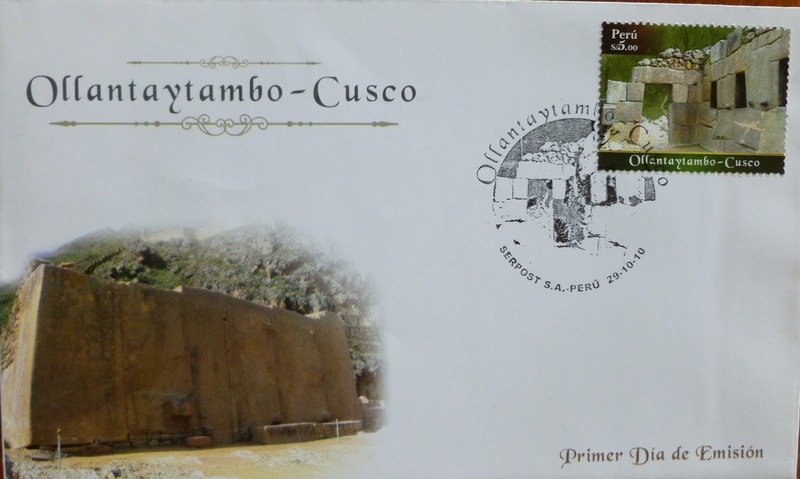 FDC issued: October 29 2010.